You�ve known for years that Monsanto, Merck, and GlaxoSmithKline are profiting off human lives... But this documentary takes you deeper. What you�re about to see will shock you. Help Us Spread the Word – And, Ignite a Revolution! Just finished watching it. Mind blowing! You really covered so many angles, it's amazing. I think not only will America be blown away, but the people in our movement who think they know everything there is to know about these issues (myself included) will be blown away too. What is super evident to me, from how it was shot, is that you love people and kids. SO GRATEFUL for your hard work and dedication!!! 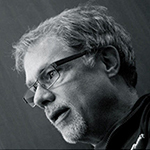 Hi, I'm Jeff Hays, an award winning filmmaker who's been short-listed for an Academy Award. I've been known for making documentaries on controversial topics such as health care, alternative medicine and 9/11. And over the last 12 months, I've been digging into the ugly truth behind vaccines, GMO's, and our entire health care system. We were shocked by what we uncovered. For years now, Wall Street has literally “BOUGHT” your health and your family's health. The food, drug, insurance and health industry is a multi-BILLION dollar enterprise... focused more on profits than human lives. And that's not even to mention the tragic human cost of families ruined by unsafe drugs, vaccines, and food... endless medical bills... ruined marriages... and a rapid rise in chronic disease (especially in children). By the end of my travels, We knew we had a controversial documentary that would not only open eyes, but could spark a movement for change across the US and the world. It took over six more months of care, attention and energy to edit the film. But now it's finally ready for the world to see. Featuring exclusive interviews with the world's most acclaimed experts in research, medicine, holistic care and natural health... Bought exposes the hidden (and deadly) story behind our health and food industries. For decades Big Pharma and Big Food have controlled and manipulated the media to keep this truth hidden. They've silenced and shunned whistleblowers. They've repressed scientists who question the safety of vaccines. Robert Kennedy Jr. just released a book about mercury and vaccines, all science based. He can't get anyone to promote it. He's dear friends with Arianna Huffington, and she hasn't even returned his phone call. A whistleblower within the CDC, William Thompson, came out 3 weeks ago and said he was ordered to "doctor" the results of the 2004 study that said autism wasn't related to the MMR vaccine... and that the study actually showed the opposite. The mainstream media hasn't covered it. When a ballot measure to require the labeling of GMOs failed in Washington State, the results were bought with huge media purchases, 99% from out of state. It's time to expose the truth and take back our health care system – not just for ourselves, but for our children as well. And we're looking for special partners (like you) to help us spread the word. Everything begins on October 10 with the online premiere of our new documentary, Bought. And we invite you to join us. It's a total home run. It's comprehensively, credibly, unequivocally devastating. You've brought the pieces together. And the timing is right. Your film is the vehicle we need to take this work to the next level. I am so proud to be associated with this movie. While also getting paid to do so! Now usually – when you see a "movie premier" like this, they usually want people with a large social media following, like on Twitter, or Facebook... or a blog with a big email list. Don't get us wrong, if you're one of those highly influential people, we welcome you. But this launch is going to be slightly different – in that it's critical for it to be a grassroots movement. Real change will only come if we have a broad group of concerned mothers, health advocates and everyday heroes involved. It's gonna take people who can spread the message of this film to a few friends, who will also tell a few friends. It's about WORD OF MOUTH. In other words – we want YOU as a partner. Our only qualification is you care about the issues presented in this film. 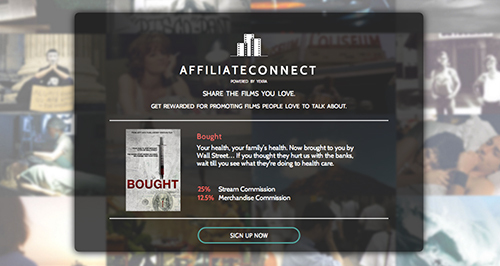 What's more – we're not just asking you to promote the film without compensation. We are working with Yekra – a VOD (Video-On-Demand) service. They provide a platform for independent filmmakers to share and spread their work. First, Yekra is video player that anyone can put on their website just by copying and pasting some code. So now, Bought can be released on hundreds or even thousands of sites. We don't have to worry about hosting it in one place and having that site get attacked and shut down. You may have heard about the movie Thrive. It was the first film released on the Yekra player... and it's been downloaded 23 million times! 23 million! Just imagine the unstoppable revolution that would take off if 23 million people watched and shared Bought. That's why we need you to join us... and suggest others do so as well. I am honored and proud to be a part of it, and think it's a home run. It was something of a healing experience to watch a compendium of thinkers who are on the same page about the common thread that these issues share. It is a small but growing community that can accept that these are all these same issues and that money is driving them. First, you'll receive a 25% commission on every stream of the documentary (that's over a $1 for every person who watches the film through your recommendation link - and $2.00 if they buy!!). And second, you'll also receive a commission for enlisting other people to be partners for the film. When you refer a friend through your link and they become a partner... you also get $1 for everyone they encourage to watch the film. For an organization, this could be huge. Imagine if a single group had hundreds or even thousands of members host the film on a Yekra player on their site. This is exactly how the movie Thrive has been seen all over the world. Now – if you've never been an "affiliate" before... Let me quickly explain what that is. That's someone who promotes another person's product and earns a percentage of the sale in exchange for their help and effort. By the way, Yekra is really easy to use. Visit the Bought Movie Affiliate Sign Up Page HERE and click the “Sign Up Now” button below the trailer (see screenshot). 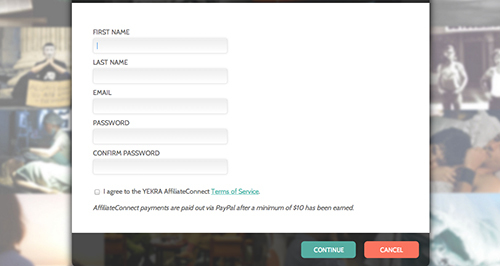 Create a new Yekra account by entering your name and email, and choosing a password. Promote the film using the banners and other promotional material available inside the Yekra program. Major activists and influencers are already on board and standing by to promote the film. This is going to be big! And we want you to be in on it. Two years ago, my film, "Doctored", laid bare the unseen tactics, deception and criminality at the highest levels of the American Medical Association (AMA), and the stories of countless victims left in its wake. Doctored has sold over 200,000 DVD copies since its release in theaters in September of 2012, making it one of the most successful independently distributed DVDs of 2013. 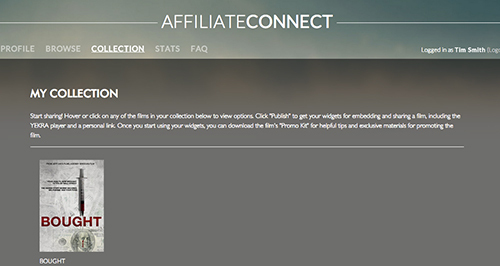 As a partner, you'll receive everything you need to promote the film (including banners, video clips, and more). We've done it all for you. We've also teamed up with a top-notch copywriter to create our sales material... including "done-for-you" emails you can send to your subscribers. We know that your success is our success. And we're here to support you. If you have any questions at any point before, during, and after the launch... our affiliate manager on call for you. Just reach out to Dee at Dee@jeffhaysfilms.com, and she'll get back to you right away. The first thing you'll want to do is mark your calendar! 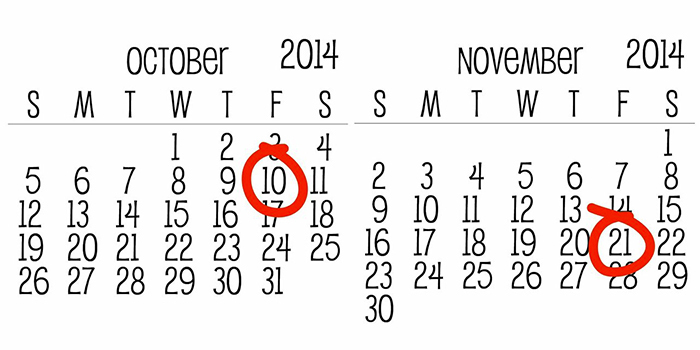 The online release kicks off on October 10. And we'll take down the film on November 21, 2014. Next, sign up for Yekra. Visit the film's Yekra page, click the sign up button, and create an account. And you'll be all set. Then, please contact Dee or James (info below) and let them know you're in. You want to make sure to let us know you're in, so we can ensure you receive all promotional email copy and materials. If you have any questions, or need anything, please contact either Dee or James below. Here's to taking back our (and our children's) health from Big Food and Big Pharma!